But here’s the rub: Do we today make too much of Paul? Does our attention become Paul-centered rather than Christ centered? Just because he wrote many epistles that become a major component of the New Testament, is everything Paul wrote the Word of God? Which is why I propose a defense of Paul to consider and respond to these criticisms. Paul desires we have the same mind in us as was in Christ in Philippians 2, who took the form of a servant obedient to the point of death. He proclaims the preaching of the cross foolishness to those who perish (1 Corinthians 1) but to us who are being saved it is the power of God. The Gospel is the power of God unto salvation in Romans 1. The word Christ is referenced in the writings of Paul 364 times. There are guidelines for selecting leaders and instructions for members of the family written by Paul, but the overwhelming majority of his letters (and travels, and sermons) is focused on the death, burial and resurrection of Jesus Christ. The New Testament books of Paul are so Christ-centered that studying Paul becomes in and of itself a Christ-centered act. Paul himself warned us not to make too much of Paul. What about his writings? What makes his letters scripture? One of the key facets of the Bible is that it does not contradict itself. In the first and second centuries there were many accounts of the life of Jesus and church leaders made decisions about biblical canon, what would be included as scripture in what was becoming the New Testament. The accounts of Matthew, Mark and Luke have many identical accounts that corroborate each other and paint a certain character portrait of Jesus. Other accounts, such as the Gospel of Judas or Gospel of Mary, paint a portrait that is out of character when compared to the others. The 14 letters of the Apostle Paul share the Gospel of Jesus that is in character with 1) what we know about Jesus from the 4 Gospel writers and 2) in line with what we know and understand of the Old Testament. Paul warns his listeners to not accept doctrine that does not agree with the words of Jesus Christ. (1 Timothy 6:3-4) That is possibly the strongest argument I can make. As a Pharisee, Saul had been a diligent student of the Law. He could read, write and probably speak at least four languages, including Hebrew, Greek, Aramaic and Latin. As one called of God (Acts 9) Paul was uniquely qualified to proclaim the Gospel message to Jews and to Gentiles. Look at his comparison of Adam and Jesus as types of first men (Romans 5) and the use of Sarah and Hagar as an allegory for two covenants (Galatians 4). The Bible tells one story, about how a holy God relates to a sinful, fallen and broken people. At the center of that story is Jesus. 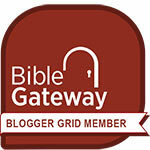 The goal of this blog, and hopefully every Christian endeavor, is to be God-honoring and Christ-centered. The work of the Apostle Paul, including the 14 surviving New Testament epistles, do that and can help us do the same to the glory and honor of God. This entry was posted in Bible, Christianity, Theology and tagged Apostle Paul, Bible, church age, doctrine, New Testament, New Testament church, Paul, Saul, Saul of Tarsus, scripture, Theology, Word of God. Bookmark the permalink. That is exactly right. I am a committed follower of the Lord God Jesus Christ. But most nominal “Christians” today ARE part of a Paul cult. Reading through your defense of “The Apostle Paul”, I see that you rely almost entirely on Paul himself as your source. and Paul’s sermon that Luke recorded in Acts 17 in which Paul never mentioned the name of Jesus once. No he didn’t. You can read if for yourself. You mention Paul being called by God in Acts 9, which I don’t dispute. But you failed to mention Acts 22 & 26, where Luke accurately records Paul exaggerating and making things up about his conversion experience, promoting himself and elevating himself in importance. Paul’s words about himself and his experience in Acts 22 & 26 don’t match what actually happened in Acts 9. You can read it in your Bible for yourself. King Saul was called by God too – and Samson, Jonah, and others who made huge mistakes. Your definition of “apostle” is based on Paul’s writings too, although like pretty much all Evangelicals you have not been aware of that. 1) Yes, I do rely extensively on the writings of Paul in my defense to demonstrate 2 things. First, as in the 1 Corinthians 1 text in particular, Paul’s desire is that we not make too much of Paul. It is possible to idolize anything, from the brass serpent Moses gave the Hebrews to even the Bible itself. Paul warned his followers not to do that; he was not crucified for their sins nor was anyone baptized in his name. And Secondly that being Paul-centered in our study of the scripture will make us Christ-centered. “I desired to know nothing among you except Christ and him crucified.” Those are not the words of a man seeking to make much of himself. Once the public ministry of Jesus began, John the Baptist said “He must increase but I must increase.” I quoted many times from Paul because so many things he writes are so good. You can’t be more theologically sound than the Pre-eminence of Christ section of Colossians 1. In Acts 17 Paul was in Athens preaching Jesus and the resurrection. I did read it myself. Maybe there’s something wrong with your Bible. 3) Luke wrote the Book of Acts. The accounts in chapter 9 appear remarkably similar to those of chapter 22 to me. It’s almost identical, the first being Luke’s account and the second being Luke’s account of what Paul said. The account varies slightly in Acts 26 but what specifically would you consider “exaggerations?” The book of Acts is not going to conflict with the book of Acts, that wouldn’t even make sense from a writer’s point of view. 4) While Paul was not with Jesus during his earthly ministry, Paul had a personal encounter with Jesus the resurrected Savior and was appointed by God to carry the Gospel to the Gentiles. Acts 9, which you hold in higher regard than others portions of scripture, says in verse 15 “But the Lord said to him, “Go, for he is a chosen instrument of mine to carry my name before the Gentiles and kings and the children of Israel.” First, Paul met Jesus and was sent. Secondly, Paul makes his case to the Corinthian church that the marks of an apostle – signs, wonders and miracles – they were witness to. And thirdly, the full name of the 5th book of the New Testament is The Acts of the Apostles. Half the book is dedicated to telling the story of Paul’s life. Even Peter submitted to Paul’s authority when reprimanded. True, the 11 disciples chose Methias to replace Judas. And then we never hear from him again! Paul goes on to become the prolific writer of half the New Testament. 11 guys chose Methias, God appointed Paul. You are obviously not going to be changing your mind, and that’s fine. Most Christians everywhere, including the other Apostles in Jerusalem during the century, accept the Apostolic authority of Paul. 14 books of the New Testament were written by Paul. The books of the Bible, 66 books written by 40 some authors, work in concert to tell one story, and at the center of that story is Jesus. I have written in defense of Paul to answer your attacks for the benefit of my readers. AT THIS POINT I will kindly ask that you contribute something meaningful or be done here. You haven’t posted to your own blog since 2009. This will not become a forum for you and your personal whipping boy. You believe at a gut level that everything Paul did must have been right, and everything Paul said must be true practically speaking. You would deny this theoretically and theologically. But you have been trained by the Paulist Tradition to think that it’s a sin to ever objectively evaluate Paul compared to Jesus. The text of Paul’s speech in the Areopagus is Acts 17:22-31. Paul never mentions the name of Jesus in his speech in the Areopagus. This is a fact. Anyone can check it. 3) I agree that “The book of Acts is not going to conflict with the book of Acts” and Luke wrote it, not Paul. Acts 9 is Luke’s record of what really happened. Acts 22 & 26 are Luke’s record of Paul’s conflicting versions of what happened in Acts 9. Luke recorded what Paul actually said – but this does not mean Paul’s words were true. Luke didn’t contradict himself, he just accurately recorded Paul making things up to promote himself, particularly in Acts 26. Yes, Acts 22 is much closer to the truth of Acts 9, so it shows that Paul was contradicting himself. These are not the marks of an apostle. Paul was wrong about this. Paul didn’t know what an Apostle was, and he made up his own definition. I defined above, with extensive backup, what an Apostle is according to Jesus and the Original Apostles. You are basing this entirely on Paul’s unsupported claims about himself in his personal writings. It was not a requirement of an Apostle to be famous, or a writer. The 12 Apostles were 12 faithful eyewitnesses, who had followed Jesus during his entire 3 1/2 years of earthly ministry, who were individually appointed and recognized. What makes an Apostle is the authority given when he is sent. The 12 were given not only authority to preach in Jesus’ name but to heal the sick and cast out demons. Saul of Tarsus had a personal encounter with Jesus and was sent to proclaim the Gospel to the Gentiles. If Paul did not have Apostolic authority, why was his claim not rejected by the Christian leaders in Jerusalem, such as Peter? Why is half of The Acts of the Apostles about his life and ministry? Why were his writings not rejected by the Church in the 2nd and 3rd centuries as the canon of scripture was formed? Let me ask you this: what is your authority to question the Apostleship of Paul or the authority of his writing as scripture? I have no special authority or divine revelation in this matter, I am simply agreeing with every major Christian theologian and church doctrine since the first century A.D. You are making the claim that pretty much every Christian today and for the past 1900 years is and has been wrong about the Apostle Paul, and that half of the New Testament was written by a liar. We have a name for individuals that dispute the words of scripture: they are called heretics. The first century church leaders, the Christians at Jerusalem, the Greek churches in Ephesus, Philippi, Galatia, and Corinth, and the Christians in Rome all accepted Paul apostleship. Peter, Luke, James, Barnabas, Timothy, Titus and many others named in the New Testament accepted his authority as an Apostle, otherwise books written by Peter and Luke would have spoken against him. The early church fathers in the 2nd and 3rd century accepted his writings as scripture, even while excluding gnostic gospels and others letters that claimed to have an eye witness account of the life of Christ. How can one billion + Christians in the world today be part of a Pauline cult and one single individual have the clairvoyance to see Paul for what he is, a fraud and a liar? I also kind of wonder how I became the subject of your attacks. The very first post you commented on was about Jesus and the Samaritan woman. It was a post about Jesus and I never mention Paul in it. I have written about the faith of Abraham, Moses and the exodus from Egypt, Moses as a type of Christ, Passover becoming the Lord’s supper, a series on Jesus’ examples… I had never written a post on Paul, to the best of my knowledge, until you started leaving comments about how I was Paul-centered rather than Christ centered. My book, God is Near, has 8 chapter focused on the Old Testament, one chapter on the life of Jesus based from the Gospels, and one chapter on the Holy Spirit mainly based on the first few chapters of Acts. 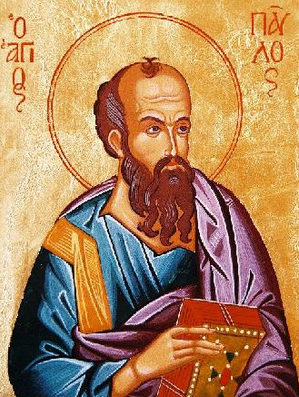 Paul’s epistles are probably referenced but none of his writings is a topic or subject. I don’t know why you came here to persecute Christians that study Paul in the first place. With all due respect, you are “begging the question” again, assuming “Apostle” means “one who is sent”. Your sources for this belief are Paul, and the human traditions that have grown up around Paul’s writings regarding Apostles, and his claim that he is an Apostle. I have laid out for you above, in exhaustive detail, what an Apostle is according to Jesus and the Original Apostles. Not other human traditions or opinions. My sources to define “what is an Apostle” are Jesus and the Original Apostles, in the text of our Bible. They know better than Paul, or anyone else in the world in the past, present, or future, what an Apostle is. Are you willing to listen to Jesus and the Original Apostles? I’ve even typed out the Scripture passages for you. Who is Paul to claim he was appointed an Apostle simply because he said so? No one in the pages of the Bible agreed with Paul on this. And who are you to say that Paul was appointed an Apostle simply because he said so? This is the recipe for a cult or false religion. With all due respect, no you are not. You are agreeing with the prevailing Paulist tradition in the Western Evangelical church. I understand you though process very well. I’m a graduate of Dallas Theological Seminary. 2 Timothy 3:16 says “ALL SCRIPTURE is breathed out by God and profitable for . . .” Surely, if ALL Scripture is given by God, and intended for our profit, Paul’s words, Jesus’ words, Peter’s words, Isaiah’s words etc are ALL important. Nowhere are we told that any part of Scripture is more important (or trustworthy) than other parts. I agree with you that Paul promotes faith in Christ, total dependance on Christ, total subjection to Christ etc and never at any time even suggests other than His preeminence in all things, and never promotes himself. While we proclaim the Gospel of Christ, we praise God for Paul’s writings that explain the Gospel in such clear terms. No New Testament author except Paul ever said anything like “All Scripture is God-breathed” and neither did Jesus. And even Paul didn’t say All Scripture is equal. Jesus DOES tell us that some parts of Scripture are more important (or trustworthy) than other parts. So at some point, the Law WILL pass away after everything is accomplished. The Orthodox (Eastern Orthodox) position for almost 2000 years is that the 4 Gospels Matthew Mark Luke & John are ABOVE all other books of the Bible, and I basically agree with this Orthodox position. The Hebrew Scriptures 2000 years ago, and even today among Orthodox Jews, are divided in to 3 sections, The Law of Moses, The Prophets, and the Writings. Torah, Nabi’im Kethuvim. In descending order of authority and importance. Paul is the “model pastor” for many modern “Pauls” today. We are now to evaluate the merits of scripture based on his “best guess” of what Jesus thinks about it. You could spend all day refuting each point that he makes and he just responds with 12 more. For instance, part of his rejection of Paul’s writings as scripture is based on what the Eastern Orthodox church has done for almost 2,000 years. In the first place, I’m not Eastern Orthodox. In the second place, the east-west split in the church happened a little over 1,000 years ago – there’s not 2,000 years of Eastern Orthodox history so they haven’t done ANYTHING for nearly 2,000 years. I am attempting to have an orderly “on topic” discussion. My list of 5 of Paul’s sins was left in moderation on your other thread, and it is much more “on topic” here, so I reposted it here. Maybe you could just delete it on the other thread. I’ve stated the fact that Paul alone said “All Scripture is God-breathed.” No other New Testament author said that, and Jesus never said anything like that. Neither you nor I consider ourselves “Eastern Orthodox.” But that does not mean the Eastern Orthodox position is wrong about everything. I follow Jesus, so I put the Testimony of Jesus above everything else – primarily the 4 Gospels. This is not some strange or radical idea. It’s really simple. We should listen to the voice of Jesus first. I don’t know what you mean about the “Eastern Orthodox …. haven’t done ANYTHING for nearly 2,000 years.” With all due respect, it sounds like you are judging and condemning them without knowing almost anything about them. I don’t know a huge amount about them, and I have some specific disagreements about their veneration of Mary. Yet I appreciate their view of Scripture. I would not blast them as doing nothing for 2000 years. I will back pedal on that statement, to a point. My argument on the Eastern Orthodox Church was based on the Great Schism in A.D. 1054. In a sense, the Eastern Orthodox Church has only existed 1,000 years. From their point of view, however, they are the one true church dating back to the time of first century apostolic Christianity. The eastern Byzantine churches certainly existed before 1054, so I made a rash statement without giving it a lot of thought. None of us know everything. None of us have “become all things to all men”, and none of us have the complete revelation. Paul didn’t have it either, even if he thought he did. Different parts of the Body of Christ have different pieces of the whole truth, including the Orthodox Church. When I was getting my MA at Dallas Seminary, I don’t recall that we ever discussed anything about the Orthodox Church at all – if we did, it was extremely little. Rather, it was all about how Martin Luther discovered Paul’s writings, and challenged the corrupt Catholic Church, which FALSELY claimed it was the One True Original Church. No, the Orthodox Church is the Original Church, and the Bishop of Rome was one of the leaders as first among equals, not The Boss. Later “The Pope” usurped power, and the West fell into the Dark Ages. But the Eastern Orthodox Church was alive and well for over 1000 years, until around the time Columbus discovered America. We just never hear about it. In my American Heritage Dictionary, the word “Byzantine” has a negative connotation – reflecting our Western Bias. It’s an Eastern Religion – Middle Eastern, where East meets West. It’s an insult to speak of Eastern Orthodox Christians as if they are in some foreign religion like Islam – especially since the Muslims were at war against Constantinople / Byzantium for centuries and eventually conquered it. Some Western Crusaders, rather than helping their Eastern Christian brothers, actually themselves attacked and sacked Constantinople one time. But they do elevate Jesus above everyone else. Why is this wrong, if you are a follower of Jesus? What is a common analogy for a permanent decision? What could be more permanent than that? And what kind of a stone is the most solid, permanent, and unchangeable? Nothing about a “13th Apostle” or an “Apostle of the Gentiles”…. Hmmmm…..
Oh well. Wow, they’re dropping like flies. Now I’ve got 3 slots open. I’d better buy a case of chalk and some more erasers. I’ll have to change the names on these 12 chalkboards hundreds of times in the next couple of millennia. I guess I had better plan ahead, and save a slot for the last Pope, Francis. And the head Mormon Apostle. And I need to save a throne for my mom, or she’ll be mad. And one for Muhammad too. Who needs truth in relationship, when I can quickly get market share, and totally dominate the market, through mergers and acquisitions? So what is the application of this parable? Beware of the NAR whale – it’s really a killer whale with a man-made horn strapped on top. The only place in the New Testament that mentions anything like “Seven Mountains” is Revelation 17, “seven hills on which the woman sits.” (The Great Prostitute, that is.) Rome is the city that sits on seven hills, the perfect place for Peter the Roman, the New World Pope for the New World Order, to replace the original Apostle Peter in the apostate church of the Antichrist. Paul, nor any other apostle ever once “planted a church”.